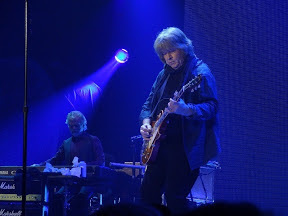 BLOG - BETWEEN A ROCK & A HARD PLACE: Happy Birthday Mick Taylor! Born on this day, Mick Taylor, guitarist, who was a member of John Mayall's Bluesbreakers, then in 1969 joined The Rolling Stones, playing on the 1971 US #1 & UK #2 single Brown Sugar and the classic Exile On Main Street album, amongst other recordings. Taylor has also worked with Bob Dylan, Mike Oldfield, Jack Bruce and Ron Wood. Mick Taylor and his Band will be Playing Backstage at the Green Hotel on Sat 23rd Feb. only a few Tickets left. Tel 01577 863467! Nine Below Zero Backstage in Scotland.